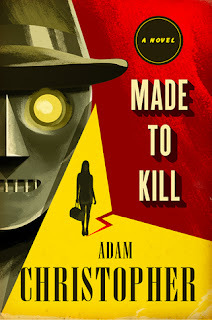 Google+ Reading Teen: MADE TO KILL by Adam Christopher // Robots! MADE TO KILL by Adam Christopher // Robots! Years ago all the robots were destroyed because of their possible threat on humans. Raymond Electromatic was the last one made, and the only that was not destroyed. He became a private detective, only to soon change careers into a "hit man" (as the pay was better). It's Hollywood 1965 and in this town it's all about the celebrity. When a stranger enters the business and hires Ray to kill a famous actor, he takes the job. After all it's all about the money, and she has it. During this time period America is concerned with the communists. But could Hollywood have it's own communist party of it's own? As Ray searches the city for his hit, he gets sucked into the world of celebrity Hollywood itself. From the rebuilding of the Hollywood sign itself to the private clubs of the rich and famous. With a few necessary murders along the way. Ray eventually gets sucked into more than one hit job and an underground secret society. One thing that threw me from the story was how human-like Ray the robot came through as. The "emotions" and ways that Ray tries to relate to those he comes across kind of threw me from the story. Statements like how he wanted to have facial or human reactions to the people he was speaking with, but couldn't because he was a robot. I think I would have enjoyed the story more if he was more robotic in nature and less human emotions, or feelings (sympathy) for others. What I did enjoy was the plot and how the story came together. 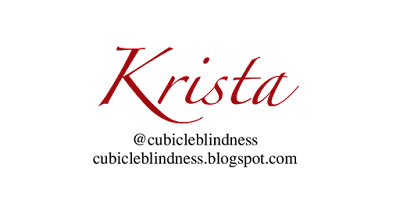 I thought that the story line was entertaining, quirky and very classic mystery atmosphere. It is a quick read and an interesting mix of characters. Ada and Ray, as a team, really played well. Ray meets a lot of people through his investigations and they all showed different sides of the decade and events going on at the time.